There is nothing like discussing a good book with friends. Join us for the third meeting of the Teen Reads Book Club! 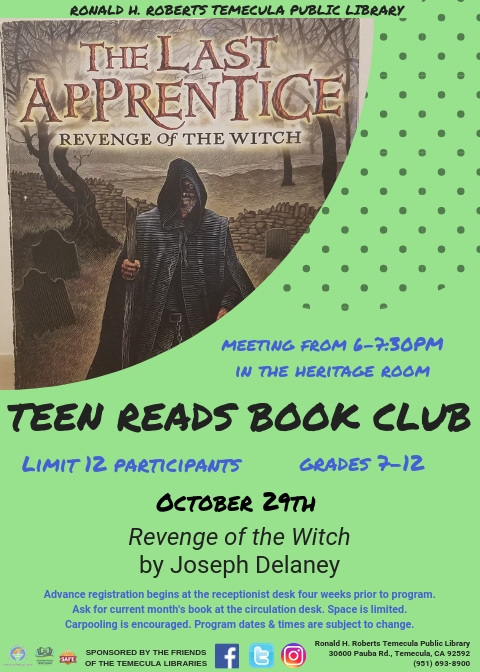 Copies of Revenge of the Witch by Joseph Delaney will be available at the circulation desk prior to the event. Come prepared for a fun discussion and a few snacks.